I think this is the last part for Rino's Gundam Strike paper model kit, the shield. The file contains 2 files, 7 pages templates in PDF and 1 PDO for assembly instructions. There is a guide to place the shield to the Strike's fist in the PDF file. If Yoda has to say, cool Gundam this is. 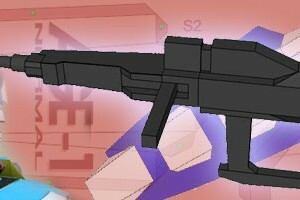 Here it comes, a beam rifle for Gundam Strike template. Rino shares 2 files, a PDF with 2 pages of instructions and cover and 2 pages of templates, and then a PDO file for detail assembly instructions which you have to open with pepakura viewer. If you choose to use magnet as per Rino suggested be careful there is one part that magnet has to be put inside it before closing the part. 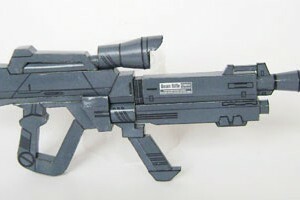 If you don't want to use magnet, just glue the rifle on the back of Gundam's waist. 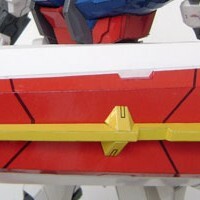 Last part for Gundam Age Normal is ready now. Wanda also give us detail photos of the arm part. The arm part is fully articulated. This paper model kit contains 5 pages of template and ages of instructions. Wanda told me that he forgot to include the white template in this release, but he said he will update the file later. 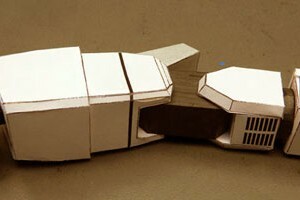 This a re-post article of earlier Wanda's AGE Gundam model kit template. 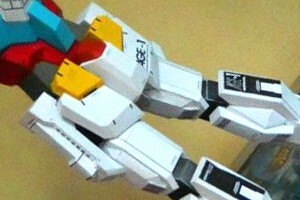 Somehow the previous Gundam AGE Waist and leg article parts didn't listed again after latest database maitenance. As usual both templates come with instructions. Gundam photo below build by Wanda himself. Thank you for user Adrian for notify me about this.